Five Seattle chefs at the top of their game. Between them, they have 19 James Beard award nominations, 16 restaurants, and countless rave reviews from some of the nation’s toughest critics…And oh, they all happen to be women. These five chefs are part of a growing number of women changing the culinary scene and man, are we lucky to have them here in Seattle. This is the fourth installment of a five-part blog series about the worlds of Chefs Maria Hines, Rachel Yang, Shannon Martincic, Monica Dimas and Renee Erickson. And now, Capitol Hill’s food window queen, Chef Monica Dimas. 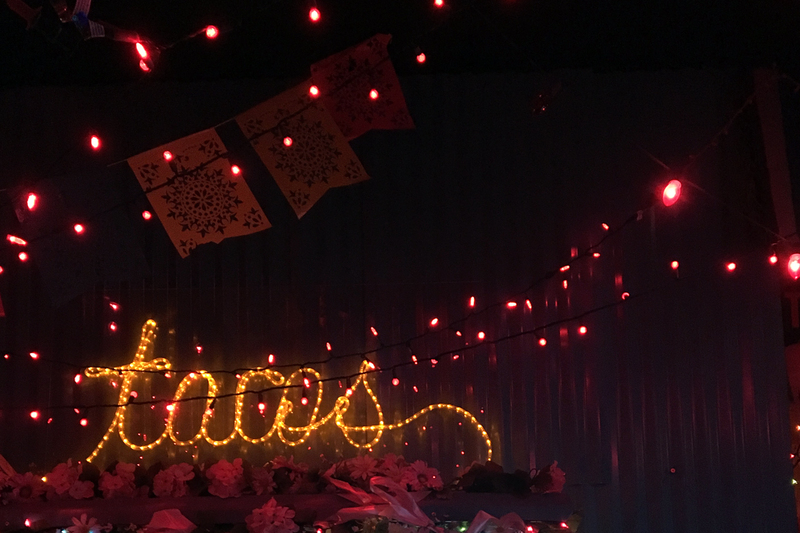 Tucked away, past the crowd of hip bar-goers sipping frozen margaritas, I see it: “tacos.” That single word formed in tiny string lights is a beacon to many hungry folks tonight at Nacho Borracho. And for good reason. Located in Seattle’s Capitol Hill neighborhood, Nacho (for short) is the location of Chef Monica Dimas’s first food window: Neon Taco. Chef Dimas is a young up-and-comer on the Seattle scene with some serious culinary cred. Before launching her own food concepts, Chef Dimas cooked at some of Seattle’s finest establishments, from Café Campagne to Spinasse, Monsoon and Mkt. And recently, she was chosen by Thrillist Seattle as their 2016 Chef of the Year. But my love for Chef Dimas goes beyond her cooking chops – it really lies in her unique, undeniably cool style. 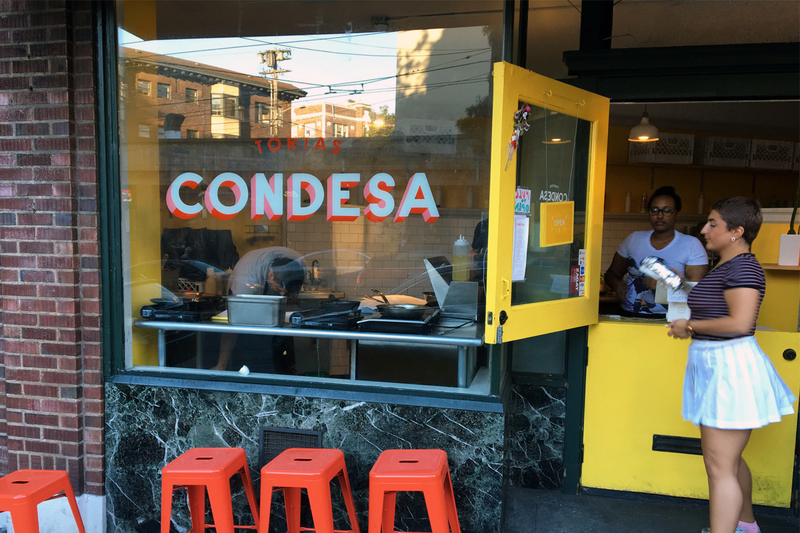 Consider her three spots on Capitol Hill: Neon Taco, Tortas Condesa and Sunset Fried Chicken. None offer a traditional dining experience. In fact, they’re all small windows located inside of or next to bars. 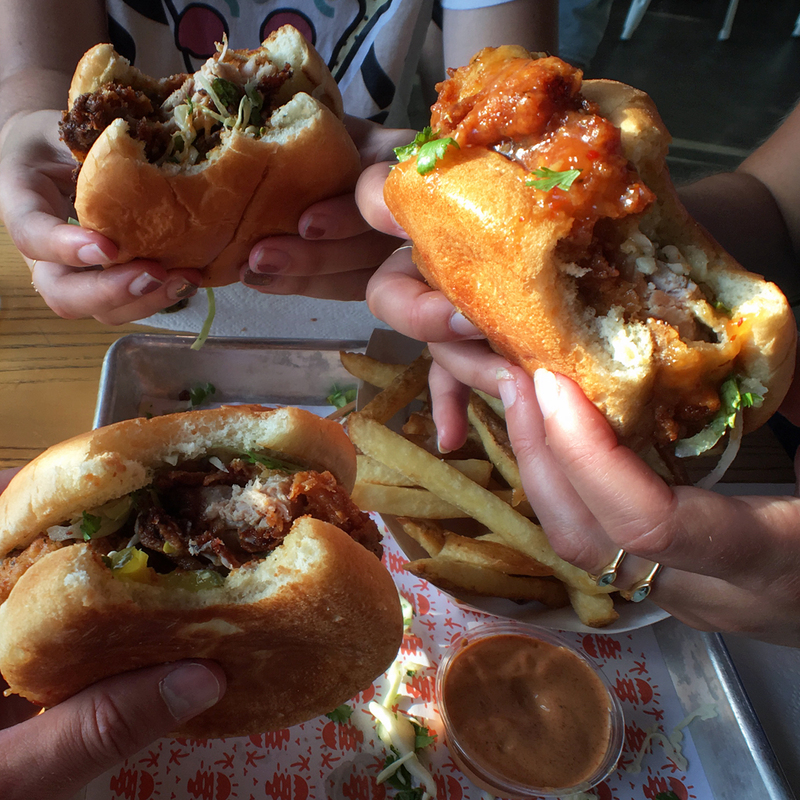 But each still turns out mouth-watering, supremely satisfying food…with a big dose of laid-back Seattle attitude. And it gets better. Chef Dimas’s food windows aren’t just in any old bars – they’re all in bars owned by the same killer duo: Rachel Marshall (of Rachel’s Ginger Beer) and Kate Opatz. So you’re guaranteed delicious ginger beer cocktails and a hip vibe wherever Chef Dimas’s food is found. Luckily for me, all of Chef Dimas’s food windows are within walking distance of my apartment on Capitol Hill. And luckily for you, I’m about to take you on a little tour. Read on! Starting with Neon Taco. Through a window hidden in the aforementioned Nacho Borracho, Neon Taco slings nachos, pozole, and, of course, tacos. When I walked into the bar with my sister on a Tuesday night, it was packed. 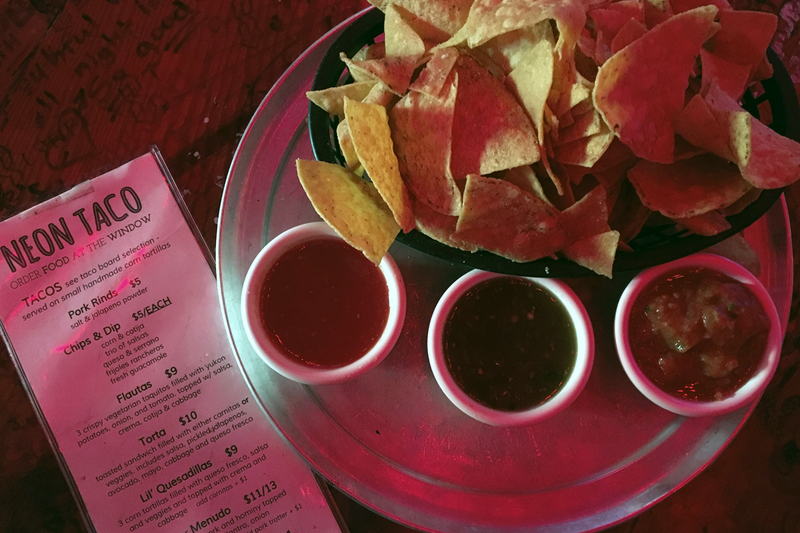 My kind of dive bar, Nacho Borracho has the relaxed atmosphere you’d expect, but with the added bonus of being a cool, funky space. 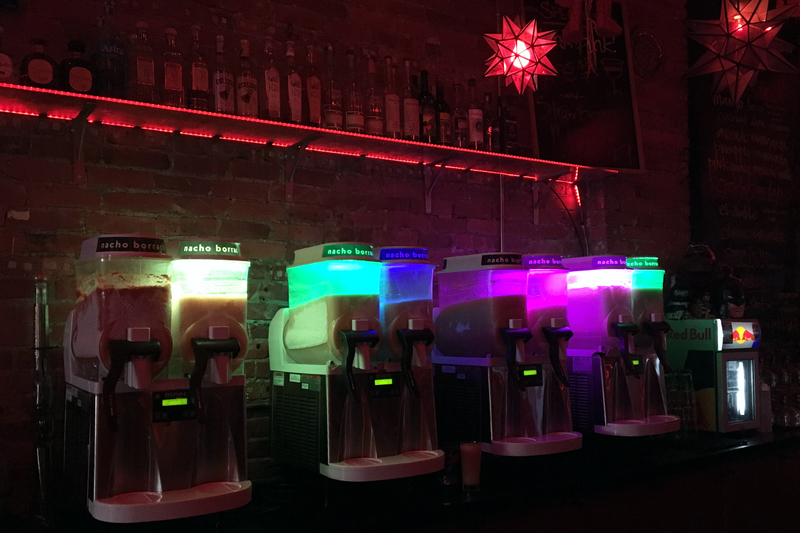 Plus, you can’t beat their alcoholic slushies – the avocado margarita is a favorite. After some serious debate over the menu, we settled on two carnitas tacos, one crispy pork belly and one chorizo. And a side of tortilla chips, of course. Each small, soft corn tortilla was carefully piled with rich meats (literally) dripping with flavor. While the chorizo and pork belly tacos were good (the cabbage slaw on the pork belly especially so), the carnitas was the standout. Its moist shredded pork had just a hint of cinnamon and dripped with every juicy bite. Thanks to Chef Dimas’s super slow-cooked, flavorful meats, these were not your average tacos. And certainly not served up in your average taco place. That’s a big part of Chef Dimas’s appeal: you can settle into a chill neighborhood bar, listen to good music, people-watch, laugh loudly and – as an added bonus – eat some delicious food. And nowhere epitomizes that more than our next stop on the tour. I first heard raves about Chef Dimas’s tortas (Mexican sandwiches) from my friend as we sat next door in one of my favorite haunts, Montana (1506 E. Olive Way). Montana serves up Rachel’s Ginger Beer cocktails on tap alongside cheap beer and (in)famous picklebacks. And, since they don’t have food, bringing in snacks and take-out food is a-okay. Which makes Tortas Condesa’s placement next door brilliant. Despite the glowing reviews, I had never tried it. So on a Friday evening, I plopped down in Montana as usual, a whiskey-ginger beer cocktail in hand. After perusing Tortas Condesa’s online menu, I walked outside and over to the little window up the street. Tortas has a bright, cheerily yellow exterior with a stylish logo on one side and a cute lineup of succulents on the other. 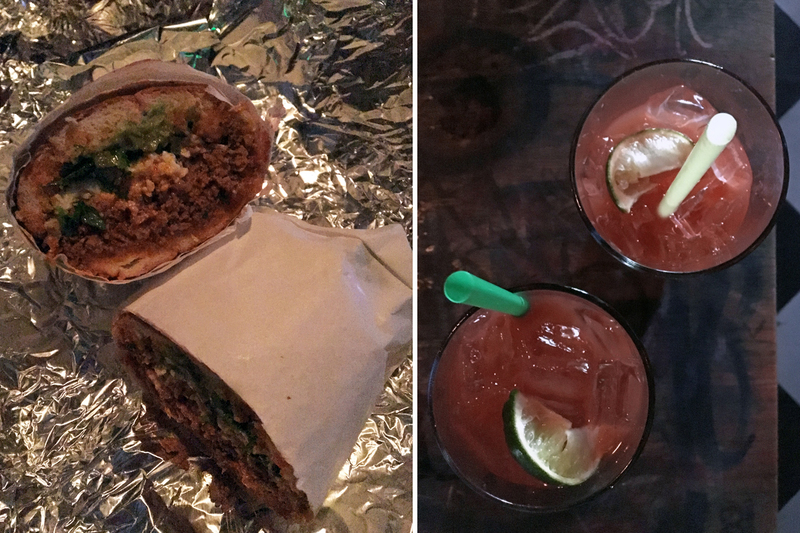 After grabbing our order: a chorizo torta for me, a pulled pork torta for my sister and a beet-quinoa torta for my friend, we hurried back to Montana to dig into our weighty sandwiches. Having never eaten a torta before, I didn’t know what I was in for. The bread was soft, with a generous layer of melted butter. But with these sandwiches it’s all about the filling. They’re massive. My chorizo torta was chock-full of spicy house-made chorizo, cotija (a salty cheese similar to feta), avocado, fried egg, pickled jalapeno and a shockingly delicious smoked chili mayo. Despite all the spicy ingredients, the level of heat was perfect. And yet again, Chef Dimas’s super-rich, delicious meat made this torta incomparable. FOODIE TIP: To get more out of your visit, bring a buddy, each order a different torta, and exchange halves. But be ready to take home leftovers …finishing one of these tortas is only for the very determined or very hungry. As the grand finale of my tour, I visited Chef Dimas’s most recently opened spot: Sunset Fried Chicken. A window in Rachel Ginger Beer‘s second brick-and-mortar location (12th Avenue and Pike Street), Sunset Fried Chicken debuted in May of this year. 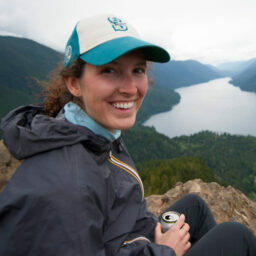 FOODIE TIP: Rachel’s Ginger Beer (or RGB) is a Seattle company making spicy-sweet ginger beer in an array of flavors. Owned by Rachel Marshall, RGB has two brick-and-mortar shops: one next to Pike Place Market and this one on Capitol Hill. Try the white peach flavor! 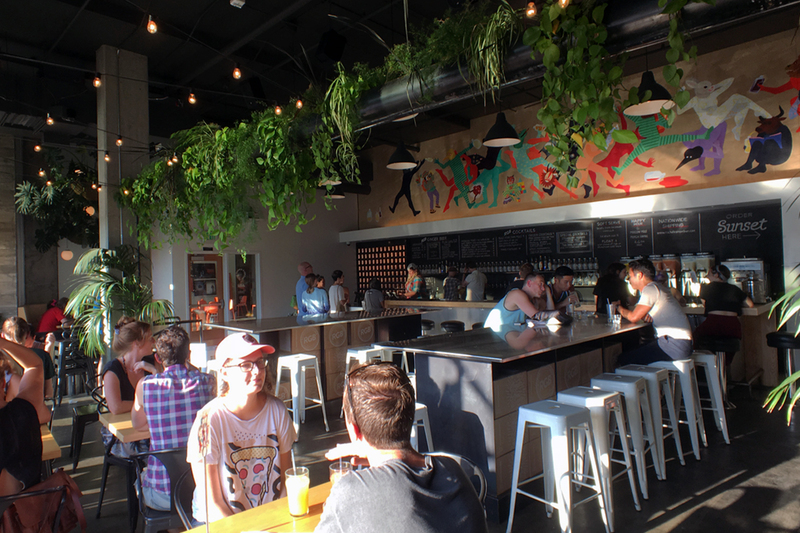 The Rachel’s Ginger Beer 12th Ave. location is a huge, airy space with plants hanging from the high ceilings. On a summer Sunday, sunshine pours through wide-open windows — making it just as bright inside as out. They have a menu of moscow mules (a classic mule is vodka, ginger beer and lime), frozen cocktails, and alcoholic ginger beer floats. I repeat, alcoholic ginger beer floats! I already loved Rachel’s Ginger Beer for all of the above, so the addition of fried chicken sandwiches means that now I will never leave. 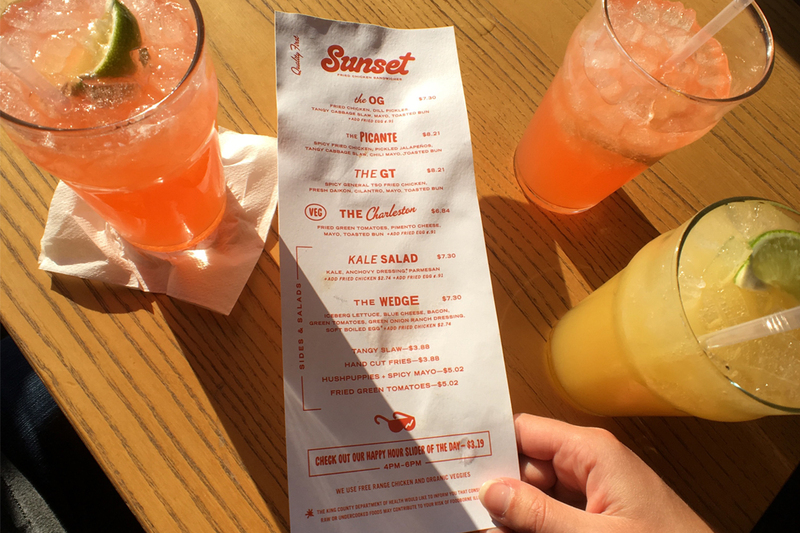 The Sunset Fried Chicken menu is short and sweet. 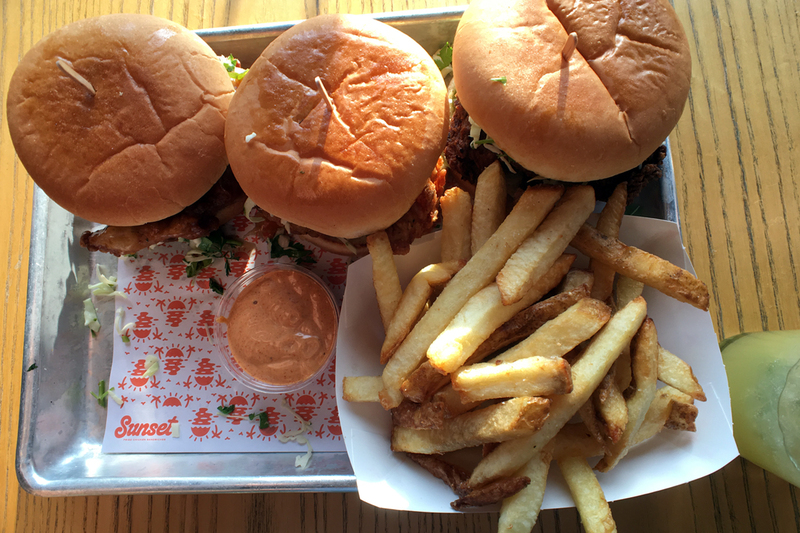 In addition to a couple veggie options, there are only three fried chicken sandwiches to choose from: The OG, The Picante, and The GT. So naturally, we ordered all three. On my sandwich, the GT, the hunk of fried chicken was slathered in an oh-so-messy sweet and spicy General Tso’s sauce. As for The Picante, it definitely delivered on spice. Its spicy fried chicken was topped with pickled jalapenos, chili mayo and cabbage slaw. So even heat-lovers, proceed with caution. All of the sandwiches were mouth-wateringly good, but the best was the classic, fittingly named The OG. The OG had the crispiest, crunchiest chicken of all and with the addition of pickles, mayo and tangy slaw, it was really something else. After our tray had been reduced to crumbs, we were all smiles: bellies full, thirst quenched, and fingers still nice and greasy. And maybe that particular feeling is why I’m such a Chef Dimas fan. It’s not just that I love her cool branding and the bars where her food is served. It’s not even the crazy-good food itself. When it comes down to it, it’s the fact that Chef Dimas’s windows unpretentiously deliver happiness. Happiness just sometimes tastes like a fried chicken sandwich. 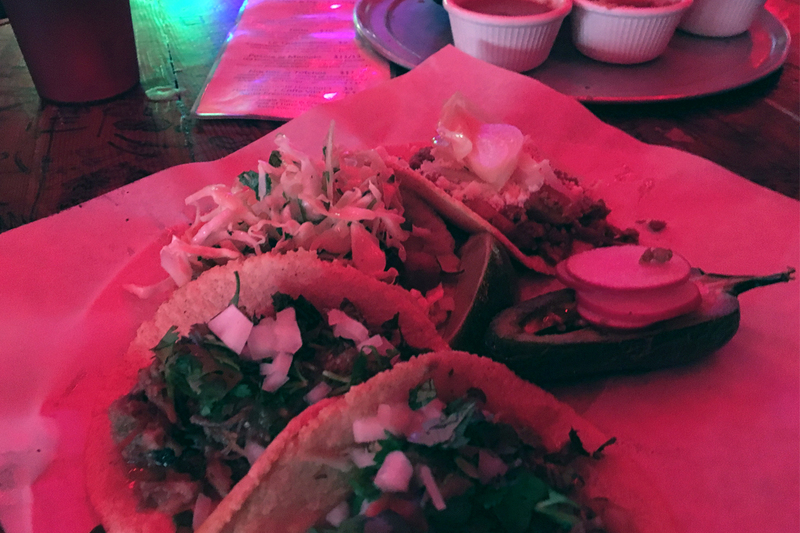 Neon Taco is located inside of Nacho Borracho (21+) at 209 Broadway E. Tortas Condesa is located at 1510 E. Olive Way, next to Montana (21+) at 1506 E. Olive Way. And Sunset Fried Chicken is located inside of Rachel’s Ginger Beer (12th Ave) at 1610 12th Ave.